Ever since we had our TechnoGeek Learning Rallies with our friends from TechnoRV, people have been asking us when we’ll have another. Well, Phil and Tracey from TechnoRV are settled for the time being in Charleston, SC. Meanwhile, we’re headed to Oregon! We’re just forming plans to hold a Geeks on Tour learning workshop and want to know if you’re interested. We’re not the cooks that Tracey and Phil are, so we’re just talking about classroom session on Picasa, Smartphones, Blogger, etc. That doesn’t mean that we won’t get together for some potlucks or other meals – but we’ll leave that to you! We envision two sessions each day. During the morning we’ll do a formal presentation and hands-on workshop complete with a workbook of exercises. Most of the afternoon will be on your own to practice, rest, or play, then we’ll get together at happy hour time for open Q&A. What: Hands-on workshop for Geeks on Tour Members. 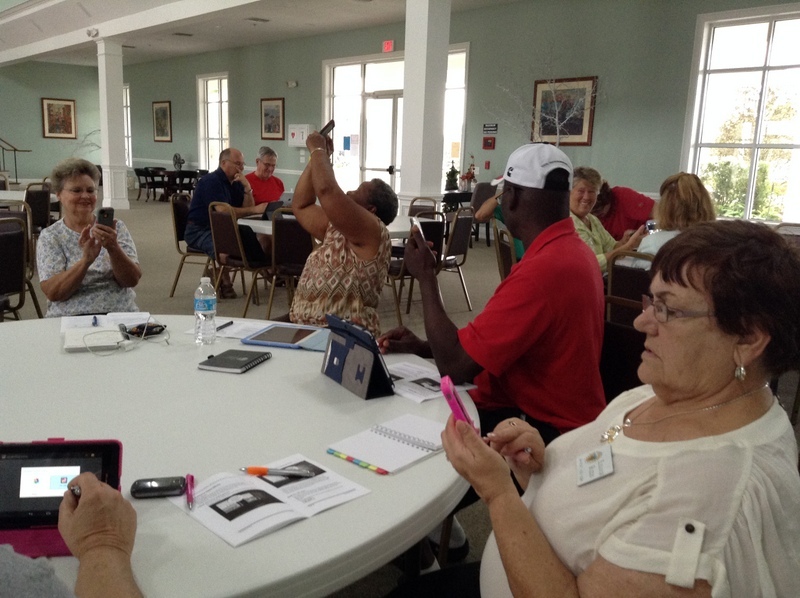 Focus on pictures and blogs, using computers, smartphones and tablets. Workshop Fee: $99/per person for members, $158/per person for non-members (includes one year membership) Fee does not include RV site or any food. If you’re interested please leave a comment. We’re just in the concept phase right now. If we get enough interest, we’ll confirm the details and put it on our calendar. Published by MrsGeek, in Blog. Tagged with Learn with Geeks on Tour.